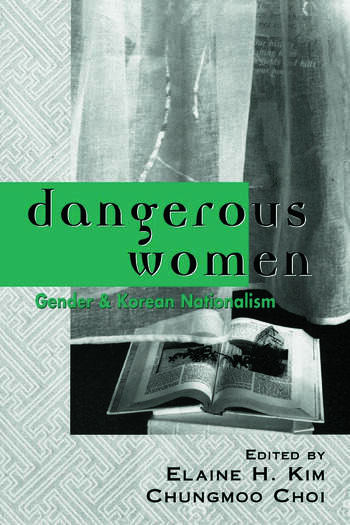 Dangerous Women addresses the themes of Korean nationalism and gender construction, as well as various issues related to the colonialization and decolonialization of the Korean nation. The contributors explore the troubled category of "woman," placing it in the specific context of a marginalized and colonized nation. But Korean women are not merely configured here as metaphors for an emasculated and infantilized "homeland;" they are also shown to be products of a problematic gender construction that originates in Korea, and extends even today to Korean communities beyond Asia. Representations of Korean women still attempt to confine them to the status of either mother or prostitute: Dangerous Women rectifies that construction, offering a feminist intervention that might recuperate womanhood. Elaine Kim is Professor of Asian American Studies and Chair of Comparative Race and Ethnic Studies at the University of California, Berkeley. Chungmoo Choi is Professor of East Asian Studies at the University of California, Irvine.